The Hillsborough Arts Council (HAC) and the Orange County Arts Commission (OCAC), in partnership with the Town of Hillsborough, are seeking an artist to design, fabricate, and install an exterior, permanent piece of public art for the gateway entrance to River Park in Downtown Hillsborough, NC – the Calvin Street Tree Public Art Project. This prominent sculptural element will incorporate and celebrate wood salvaged from the historic Calvin Street Tree that fell during Hurricane Florence. Wood has been milled to be used for an artist-created Calvin Street Tree Public Art Project in River Park in Downtown Hillsborough, NC. This prominent sculptural element will be located close to Churton Street, the main artery through Downtown Hillsborough. The goal of the work is to serve as highly visible welcome for visitors to town, symbolizing the importance of art, history, and the natural environment for the Hillsborough community. The art installation coincides with a major improvement plan for River Park. The artist’s contract for artwork will be $20,000. The contract is inclusive of all artist fees, and associated expenses for design, structural engineering, fabrication, insurance, transportation, and consultation during installation. The salvaged wood from the tree will be provided to the selected artist. It is not part of the $20,000 budget. An additional $2,000 is available for installation costs that may be required beyond the scope of the artist. The Orange County Arts Commission, located in Hillsborough, is an agency of Orange County government. They work to develop the arts in Orange County, North Carolina, which includes the townships of Chapel Hill, Carrboro, and Hillsborough. Their mission is to promote and strengthen the artistic and cultural development of Orange County, North Carolina. Created on February 4, 1985 by Resolution of the Board of County Commissioners (BOCC), the Orange County Arts Commission is the non-partisan countywide arts agency that provides funding and support for a broad range of high quality arts programs. Nominated by the BOCC as the Local Distributing Agent (now called Designated County Partner) and approved by the NC Arts Council in 1985, the Arts Commission awards state Grassroots Arts Program funds in Orange County, adhering to state program guidelines. The Arts Commission awards county-funded arts grants, sponsors programs, and serves as an arts information clearinghouse. For more information, contact kmurray@orangecountync.gov. Artsplosure announces a call for artists for those interested in exhibiting and selling at the Artsplosure Raleigh Arts Festival 2019, which annually attracts over 75,000 attendees. Artsplosure is the one of the most prestigious art and craft fairs in the Southeast. They are the topped ranked festival in North Carolina, South Carolina, and Georgia. Artsplosure is ranked 50th nationally in the Sunshine Artists’ 2018 national listing of Fine Art Fairs. Carolinas AAA members recently voted Artsplosure the “Best Festival” in North Carolina. Artsplosure always tops Triangle area “Best of” lists. Artsplosure Raleigh Arts Festival 2019 will run for two days, May 18 and 19. All work displayed or offered for sale must be of your own artistic creation. A four-member jury will review and score all submissions. Artists will be notified of acceptance or non-acceptance in late February. Artsplosure has entertained and inspired hundreds of thousands of people for the past 40 years, introducing them to underrepresented artists and performers. Every aspect of the festival is curated with an eye toward presenting quality art and a healthy dose of the unexpected. The festival balances critically acclaimed national artists with some of North Carolina’s best visual and performing artists. The result is an eccentric mix of artistic expression, undoubtedly with something that appeals to everyone. All artist booths are located on the highly trafficked main street in Downtown Raleigh. Artists will receive free parking, artist hospitality, and booth sitters. A three-judge panel will award six cash prizes that total at $3,500. Artsplosure’s mission is to produce quality events that make the works of the most imaginative and celebrated artists accessible to the public in an effort to enrich our community and inspire greater love for the visual and performing arts. Artsplosure was conceived in 1978 by subcommittees of the newly formed City of Raleigh Arts Commission who were planning a citywide arts festival that would combine an “explosion” of art activity with people’s “exposure” to all types of art. The following year, Artsplosure was incorporated to produce high quality and accessible arts festivals. They identify, nurture, and showcase artists seeking to reach wider audiences. Since its first festival in April 1980, Artsplosure has presented thousands of artists whose works span across many disciplines and art forms. For more information, contact hannah@artsplosure.org. Artsplosure 2019 announces a call for artists. Celebrating 40 years in 2019, Artsplosure is Raleigh’s original and longest running arts festival. Held annually the third weekend of May in beautiful downtown Raleigh, the festival is a two day event and features an art market comprised of approximately 175 juried visual artists from across the United States. The festival presents national and regional entertainment on two stages, provides arts-based activities for children, and presents one or more large-scale temporary art installations each year. Annual festival attendance averages 75,000+. Categories include ceramics, fiber art, glass (other than jewelry), jewelry, metal, painting, photography, wood, other 2-d (mixed media/printmaking/pastel), other 3-d (mixed media/sculpture/leather/basketry). Artists will be notified by February 22, 2019 of their acceptance. They will have until March 22, 2019 to submit their full booth fee by check or PayPal or forfeit their space at the festival. Artists on the waiting list will be offered any canceled or forfeited spaces, and booth fees will be due immediately upon acceptance, either by check or PayPal. All work displayed must be the artist’s own work and must be for sale. Artsplosure reserves the right to remove displays that have been misrepresented either by the artist’s submitted images or on the application and to prohibit the artist from participating in future Artsplosure-produced shows. Booths must be attended by the artist on both days of the festival. Assistants are welcome, but commercial agents, representatives, dealers, or hired salespeople may not replace the artist’s presence at the festival. All artists/applicants must maintain complete responsibility for the design of the work and the associated business. Photo ID will be required upon check-in. A limited quantity of offset prints and mechanical reproductions are allowed. All offset prints and mechanical reproductions must be clearly labeled as such. They must be limited to a maximum of 20% of total booth display area. For photographers and printmakers, gallery quality framed work is expected. All printmakers and photographers should disclose their printmaking processes. Photographic prints must be made from the artist’s original negative/file and processed by that artist, or under his or her direct supervision. Artsplosure reserves the right to final interpretation of commercial status or appropriateness for the festival. Artsplosure brings in over 75,000 people annually to the active downtown of Raleigh, NC. Visitors come from near and far and the art market is at the heart of this event. Artsplosure has 6.8K Facebook followers and over 4000 Instagram followers, as well as both a website focused on the Artsplosure organization (produces multiple events) and a website focused just on Artsplosure – Raleigh’s Spring Art Festival. Past participating artists have loved the camaraderie, good sales, a great location, hospitality, booth sitters, listening to the live music, and a great volunteers and staff. All awards are non-category specific..
Artsplosure is Raleigh’s nonprofit art and cultural events production studio. They are curators, collaborators, and risk-takers dedicated to fulfilling their mission of bringing rich cultural experiences to the community. With each event, they hope to inspire and entertain, inform and celebrate, and create and share. They strive to produce quality events that make the works of the most imaginative and celebrated artists accessible to the public in an effort to enrich the community and inspire greater love for the visual and performing arts. Artsplosure has been active for over 40 years and now produces multiple events over the course of the year including Wide Open Bluegrass Art Market, Dreamville Festival at Dorothea Dix Park, and Live and Local Spring Fest. The staff and volunteers at Artsplosure are like a family, with a lot of combined experience in arts and culture. They are truly invested in treating each artist with kindness and respect. The Turchin Center for the Visual Arts announces a call for artists for the 33rd Annual Rosen Sculpture Competition. This nationally recognized juried competition, established by Martin and Doris Rosen, has long served as a point of pride for Appalachian State University and its annual summer arts celebration, An Appalachian Summer Festival. Each year, ten sculptures are selected for installation in outdoor, public settings across the university campus. This year, an 11th sculpture will be chosen by the jurors for display on the Blowing Rock Art and History Museum (BRAHM) campus, just a short distance from the university. The Rosen Outdoor Sculpture Competition and Exhibition is the longest running outdoor sculpture competition east of the Mississippi. Each year, new sculptures are located throughout the Appalachian State University Campus, located in scenic Boone, North Carolina. Nestled in the Blue Ridge Mountains, the sculptures are enhanced by the striking and dynamic landscape. The exhibition brings artwork to a rural community. The Rosen Sculpture Competition’s longstanding history has fostered an appreciation for dynamic public sculpture. Both the campus and regional community have come to anticipate this annual exhibition and related programming. Each summer, the winners are revealed with an open community sculpture walk and talk organized by the juror. The Rosen Outdoor Sculpture Competition is made possible by the continued generosity and support of the Rosen Family: The Martin and Doris Rosen Giving Fund/Debbie Rosen Davidson and David Rosen/Charles and Nancy Rosenblatt Foundation. All artists whose works are installed will receive a $1,300 honorarium to offset round trip transportation, lodging, and incidental expenses. Any additional costs are the responsibility of the artists. The Rosen Sculpture Competition & Exhibition will cover the material costs of installation and de-installation. The 33rd Annual Rosen Sculpture Competition will feature three cash prizes. All winners will be designated the Martin and Doris Rosen 33rd Annual Award Winners. The Rosen Award winners are announced at the Annual Sculpture Walk in July, a highlight of the summer festival season. The top three artists will receive the following cash prizes: $3,000 for First Place, $2,000 for Second Place, and $1,000 for Third Place. Awards and Honoraria total $20,300. The competition offers a sales program, brochure/map, and extensive promotion as a featured exhibition in conjunction with both the Turchin Center for the Visual Arts and the Appalachian Summer Festival as well as permanent archiving on the competition’s website. The Turchin Center for the Visual Arts at Appalachian State University engages visitors from the university, community, nation and beyond in creating unique experiences through dynamic and accessible exhibition, education, outreach, and collection programs. These programs inspire and support a lifelong engagement with the visual arts. They create opportunities for participants to learn more about themselves and the world around them. The Turchin Center for the Visual Arts is an engaging and accessible resource. It responds to diverse educational, cultural, and health needs by meeting participants wherever they are in their personal relationship with the visual arts. It provides them with opportunities to access the power of the arts to help learn, grow and heal. For more information, contact reddingm@appstate.edu. Caldwell Arts Council announces a call for artists for the 33rd Annual Sculpture Celebration. Sculptors invited to compete for up to $11,000 in cash awards during this one-day competition. The Caldwell Arts Council invites the public and sculpture purchasers to this event. Typically, there are 70 sculptors with over 200 sculptural art pieces throughout this garden park setting. Food vendors are on-site, along with live music and children’s art activities. Artists must bring their own pedestals, tables, seating, leashed pet, business cards, and sales aids. Sculptors are invited to the Welcome Dinner in the park on Friday, September 7th with a hosted wine/beer event at 6 pm followed at 7 pm with a buffet dinner (both meat and vegetarian options available). Additional guest meals may be purchased at time of registration. Awards include $3,000 Best of Show, $2,000 First place, $1,500 Second place, $1,000 Third place, five $500 Judges Merit awards, and five $100 Honorable Mention awards along with $500 Stevens Family People’s Choice award. There were 4,000 visitors last year. Sculptors may sell their work with no commission required by the Caldwell Arts Council. This event occurs rain or shine. Bring a pop-up tent to protect work if desired. The Caldwell Arts Council started in 1976. They promote the arts to the people of Caldwell County. The Sculpture Celebration event started in 1985 as a brainchild of a sculptor, parks and recreation director, and the executive director of the Caldwell Arts Council. The Council reaches over 12,000 Caldwell County students with traveling theatre shows which bring their studies to life on stage. They host the annual Happy Valley Fiddlers Convention, bringing instrument competitions and famous names to the Happy Valley / Yadkin Valley area of Lenoir. The Council provide visual arts exhibits throughout the year at their downtown and offsite galleries. For more information, contact office@caldwellarts.com. Theatre Art Galleries (TAG) of High Point, NC is pleased to announce a call for artists for the annual juried exhibit, The Bicycle: Art Meets Form. Opening August 30th and on view until September 28th. This is the fourth year for the exhibit. It will be held in conjunction with the High Point Cycling Classic benefiting the Bobby Labonte Foundation in downtown High Point. This event takes place over the course of three days packed full of events in a beautiful downtown area. The cycling community will be part of this collaboration of art, sport, competition, and community. The Bicycle exhibition will feature original works of art by artists from across the United States. The art must relate in some way to bicycles or cycling. The opening reception will be held Thursday, September 6th from 5:30 – 7:30 p.m. at TAG. The exhibit and reception are free and open to the public. Prizes will be awarded during the opening reception for First Place: $1000, Second Place: $500, and Third Place: $250. Artists will have the opportunity to sell their work. Theatre Art Galleries (TAG) began as a program of the High Point Area Arts Council. In 1996, Theatre Art Galleries was incorporated as a separate 501(c)(3) non-profit organization. TAG is now in its 22nd year of independent operation. Since the opening of the High Point Theatre facility in 1975, TAG has been High Point’s primary provider of visual arts. The High Point Theatre offers a wide range of performing arts throughout the year that complement TAG’s visual art exhibits. This powerful combination makes the facility one of the region’s premier destinations for visual and performing arts. TAG provides quality visual art exhibitions and educational experiences for the enrichment of the entire community. For more information, contact kelly@tagart.org. 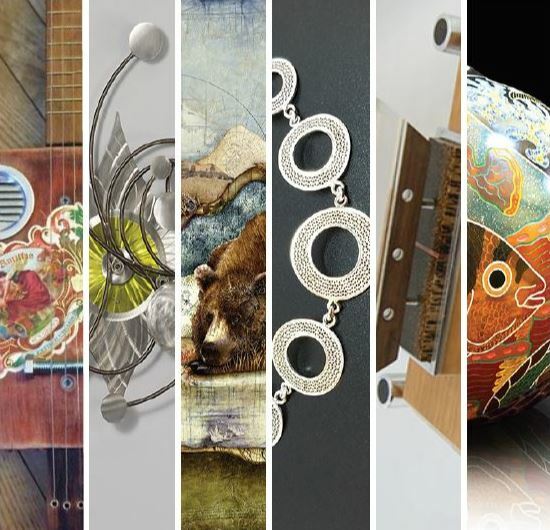 The Caldwell Arts Council will accept portfolios from artists for the 2019 artist exhibition opportunities. The exhibition ranges from one to three-months long at Caldwell Arts Council gallery (four exhibit opportunities ranging from 5-8 weeks), Art-in-Healing Gallery, or another off-site gallery in Caldwell Arts Council (three 3-month long exhibit opportunities). The Caldwell Arts Council exhibits artists from across the country and has a reputation for quality exhibits. The center is housed in an historic 100+ year old home. There are four gallery spaces that have been renovated as professional exhibit spaces. Exhibits range from contemporary to traditional and include 2-D and 3-D exhibitions. The Art-in-Healing Gallery at Caldwell Memorial Hospital can hang up to 20 works of 2-D or 3-D wall artworks. The 2019 artist exhibition opportunities reach visitors from the southeastern United States. While sales opportunities are not strong, there is an opportunity to have museum and gallery curators, regional university art students, and professors. Exhibit invitations are mailed to 400-500 individuals and emailed to 1,700 individuals. The Caldwell Arts Council is known for ‘pushing the envelope’ on the art styles displayed in the gallery. It is a 501(c)3 non-profit. 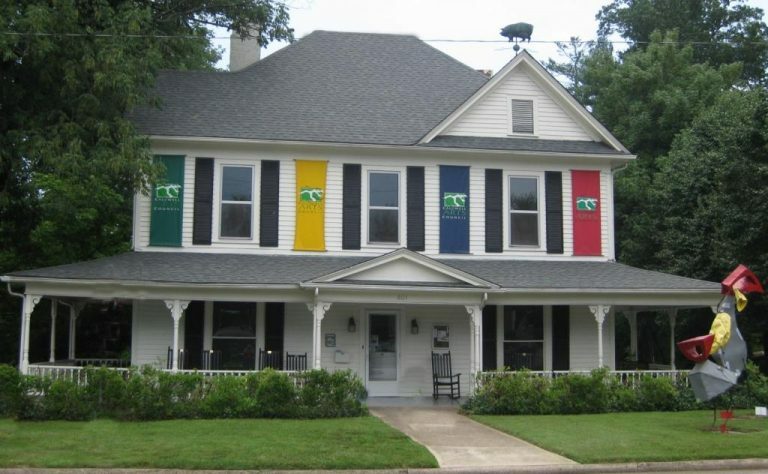 The Caldwell Arts Council is a regional arts center that presents art exhibits, educational opportunities, and collection programs that foster the cultural arts. Programs are supported by the North Carolina Arts Council, a division of the Department of Cultural Resources, as well as individual donors, corporate donors, and sponsorships. All donations are tax-deductible. The largest programs include the Happy Valley Fiddlers Convention (now in its 14th year, held Labor Day weekend annually), the annual Sculpture Celebration (now in its 34th year) which brings sculptors to Lenoir for a one-day competition the Saturday after Labor Day, and the Artists-in-Schools performance series for Caldwell County students which brings theatrical productions to Lenoir. Caldwell Arts Council announces a call for artists for the Sculpture Celebration 2017. Sculptors invited to bring up to three sculptures for this one-day competition. $11,000 in cash awards, potential sales, and commissions. This annual event brings sculptors and buyers from the eastern United States to Lenoir North Carolina. Early registration discounts are available. In past years, over 70 sculptors have brought over 200 sculptures to the Broyhill Walking Park. Event is free to the public and offers children’s art activities, a separate youth sculpture award, a people’s choice award, and judge’s merit awards. There is live music, free shuttles to free area parking, and food vendors on site. Around 3,000 visitors attend this event. Participating sculptors may sell their works commission-free. They may receive future commissions for artwork to be installed in municipalities, parks, and outside businesses. Free assistance with unloading and reloading artwork. Free crane on-site for those registered in advance who request it. Some free lodging including camping at local fitness center with access to showers and toilet facilities. The Caldwell Arts Council is one of almost 100 county arts entities in North Carolina dedicated to establishing and maintaining an awareness of cultural arts in Caldwell and surrounding counties. They encourage public participation in art events and offer educational services and administration services for local artists and craftspeople. The council supports artists, arts agencies, and attendees throughout Caldwell County and western North Carolina. The Artistically Speaking online calendar of events announces artist opportunities and encourages public participation in arts events in the region. Traveling theatrical groups bring classwork to life for students in Caldwell County public and private schools. For more information, contact info@caldwellarts.com. Tryon Arts and Crafts School announces a call for artists for the Lost Loves themed juried show. This show is open to all artists 18 and older who work in media in 2-D or 3-D featuring clay, jewelry, wood, fiber, collage, glass, or metal. Artists should select their best quality pieces that have importance in their collections. Artwork should be inspired by the lost loves in their lives such as losing loved ones through death or relationship disintegrations or lost dreams that did not come to fruition. It can be work inspired by poetry or a quote dealing with the topic. Artists may enter up to three original pieces. Work will be juried by professional jurors from the Southern Highlands Craft Guild based on creativity, craftsmanship, and originality of concept. The entry form must be completed and submitted with entry form fee. Fees are $25 for 1st entry, $10 each for 2nd and 3rd entries. Provide one or two sentences describing how the topic of lost love inspired your work. Tryon Arts and Crafts School is offering awards of $450, $350, and $150 to the winning artists of the Lost Loves Themed Juried Show. In addition, honorable mention gift certificates will be offered for winning artworks. The show will offer an opportunity for winning artists to receive publicity in regional publications. Tryon Arts and Crafts School promotes the extraordinary artisans and crafts persons in the Appalachian foothills. They host special exhibitions in the Exhibition Gallery, maintain a permanent Heritage Collection, and sponsor festivals at Harmon Field on the banks of the North Pacolet River in Tryon, North Carolina. Tryon Arts and Crafts School was established in 1960. It was a key part of the grassroots movement that led to the development of Tryon as an artists’ colony. The 501(c)(3) nonprofit organization is supported by membership dues and donations. Members enjoy access to open studios and discounted classes. For more information, contact director@tryonartsandcrafts.org. The Durham Arts Council (DAC) issues an annual call to 2-D visual artists to select work for exhibit in its Allenton and Semans Galleries. This year, the DAC is also searching for artists who create large 2-D works to exhibit in the pre-function corridor of the Durham Convention Center in downtown Durham. Screening panels change annually and consist of art professionals from the area. Exhibits selected will take place between July 2017 and July 2018. Selected artists will receive generally one entire gallery for a solo exhibition. Artists are responsible for transporting to and installing their work at the DAC. DAC’s Artist Services Department coordinates and promotes exhibition receptions in our historic downtown Durham facility, produces and distributes media promotion, and creates wall labels and text panels for the galleries. The DAC organizes a reception to support each exhibit. This will be held during the citywide Third Friday gallery night. Each exhibit is on view for six to eight weeks in our high-traffic arts facility. produces CenterFest, Durham’s annual street arts festival held during the third weekend of September. 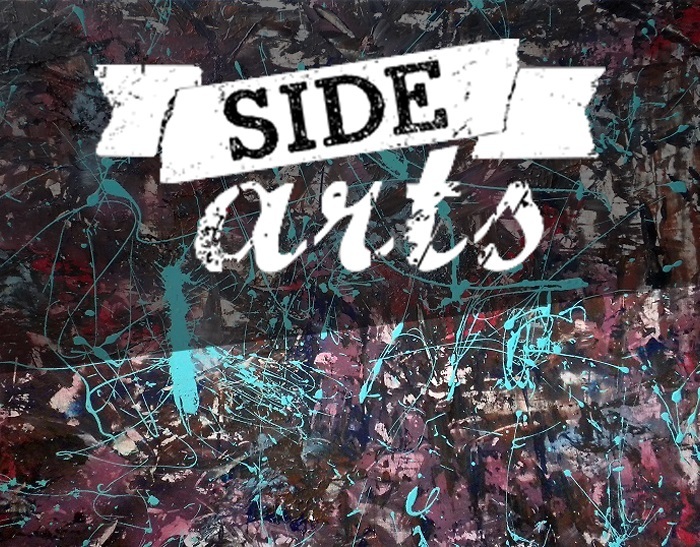 For more information, contact stierney@durhamarts.org.